Réalisé avec un Centor en Hongrie, extrait de l'article intitulé, "Development and characterisation of silicon microfluidic components and systems" by PhD Thesis , Zoltán Fekete. Extrait de l'article intitulé "PENAMBAHAN SERBUK TULANG SAPI TERHADAP KEKUATAN DAN STRUKTUR MIKRO GIGI PENGGANTI"(Caracterisation des proprietes mécaniques de poudre d'os de vache en vue de la fabrication de dents en Indonésie) by Zulkarnain, Gunawarman, Jon Affi Jurusan Teknik Mesin, Fakultas Teknik. Extrait de l'article intitulé "Strength and Microscopy Analysis of Surfacemodified Soda-lime-silicate Glass Rods" by Amy Bumbaco, Jacob Young, and Michael Zachar . 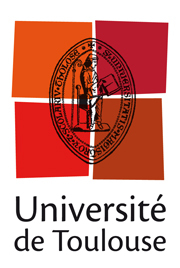 Extrait de l'article intitulé "Fuzikalne listy" by Universita Komenského. Extrait de l'article intitulé "Generating Ultrasonically Welded Parts with Improved Strength and Reliability for Critical Applications in Medical Device Manufacturing by Utilizing Advanced Melt Flow Controls of Servo Driven Ultrasonic Welding Equipment. " by Alex Savitski, Ph.D., Leo Klinstein, Kenneth Holt, David Cermak, Dukane Corporation. Extrait de l'article intitulé "Obtaining Cheese with Milk Mixture and Inca Peanut" by Ysabel Fernández, Abner Obregón, Mari Medina, Epifanio Martínez, Euler Navarro. Le dynamomètre, a servi à mesurer le poids du sac. Publication avec pour thème "Mechanical properties of polyethylene foils "
by Ľubomír KUBÍK1 and Stanislav ZEMAN. Extrait de l'article intitulé "Mechanical properties of pellets in compression" by Ľ. Kubík, V. Kažimírová. Extrait de l'article intitulé "Characterization of Two Different Stumps of Spirulina platensis Drying" by Eloi Salmwendé Tiendrebeogo, Alfa Oumar Dissa, Fabien Cherblanc, Issakha Youm, Jean-Claude Bénet, Aboubacar Compaoré, Jean Koulidiati. Extrait de l'article intitulé "Determination of oxygen permeability and mechanical properties of the aluminium paper foils" by Ľubomír KUBÍK , S. Zeman. Extrait de l'article intitulé "Determination of mechanical properties of apple cultivar golden delicious" by Ľubomír KUBÍK , Viera KAŽIMÍROVÁ. Article intitulé "Challenging the in-vivo assessment of biomechanical properties of the uterine cervix: A critical analysis of ultrasound based quasi-static procedures" by M.M. Maurercorrespondence1email, S. Badir, M. Pensalfini, M. Bajka, P. Abitabile, R. Zimmermann, E. Mazza. Extrait du livre intitulé "Assessment of eggplant firmness with accelerometers on a pneumatic robot gripper" by Carlos Blanesa, Coral Ortizb, Martin Melladoa, Pablo Beltrána. Extrait du livre intitulé "Technical feasibility of reusing coal combustion by-products from a thermoelectric power plant in the manufacture of fired clay bricks" by B. Sena da Fonsecaa,C. Galhanob,D. Seixasc. Article intitulé "Experimental study on the mechanical interaction between silicon neural microprobes and rat dura mater during insertion" by Z. Fekete ,A. Németh,G. Márton,I. Ulbert,A. Pongrácz. Article intitulé " About Puncture Testing Applied for Mechanical Characterization of Fetal Membranes " by Wilfried Bürzle, E. Mazza1 and John J. Moore. Extrait de l'article "Evaluation of the maximum isometric tongue force of healthy volunteers". Publication "Use of grip strength meter to assess the limb strength of mdx mice"
by Annamaria De Luca ,Sezione di Farmacologia, Dipartimento ,Farmacobiologico, Facoltà di Farmacia, Università di Bari, Italy. Extrait de l'article "Utilization of Estremoz marbles sawing sludge in ceramic industry – Preliminary Approach ". Publication "Physical properties of fresh market citrus fruits under different storage conditions related to mechanical handling "
by ĽC. Ortiz , M. Bouy A. Torregrosa. L'ICA est un laboratoire de recherche qui s'attache à l'étude desstructures, dessystèmeset desprocédés mécaniques.Le Stentor permettant la réalisation d'essais mécaniques divers (mesures de force et de couples)et le montage de bancs d'essais spécifiques. Travaux pratique sur assemblage boulonné . Fracture Analysis of Silicon Microprobes Designed For Deep-Brain Stimulation. Reaction Torque Sensor from Andilog Technologies. Reportage du comité national des conseillers du commerce extérieur sur l'aide apporté à ANDILOG lors de son implantation au Mexique. Extrait de l'article "The mechanical response of a creased sheet". Extrait de l'article "Estimation of grip force using the Grip-ball dynamometer".